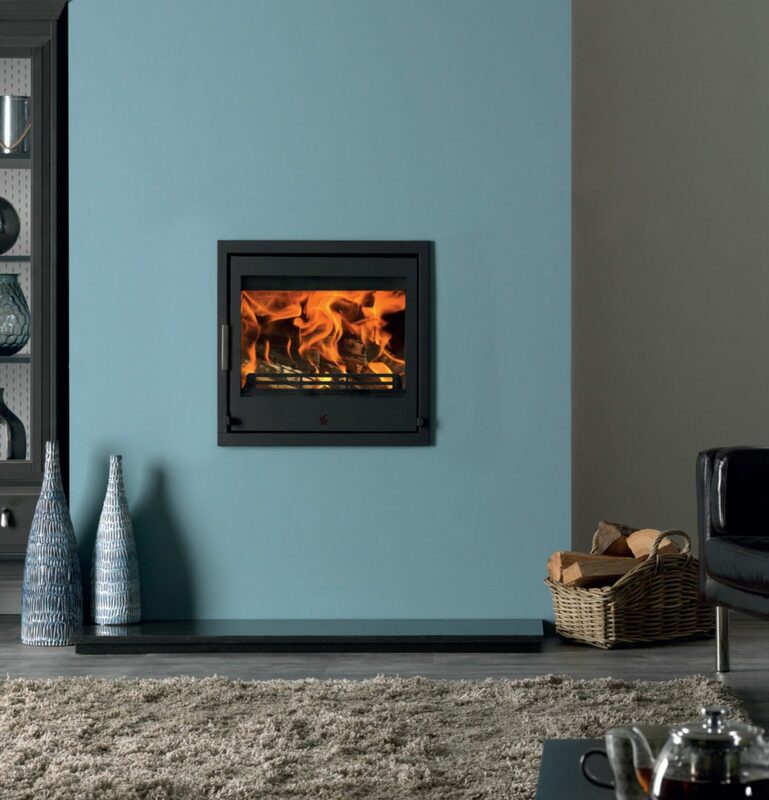 The ACR Tenbury T550 Inset Multifuel Stove, as the Tenbury T400, features a modern elegant look with its sleek lines and brushed steel handle and has a wider firebox. 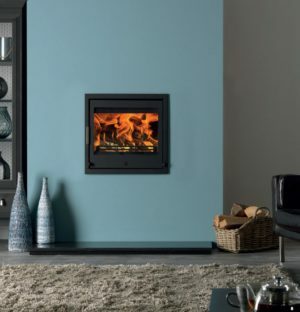 The ACR Tenbury T550 Inset Multifuel Stove has been designed with making installation as easy as possible, with a free floating flue collar and a removable convection outer box. 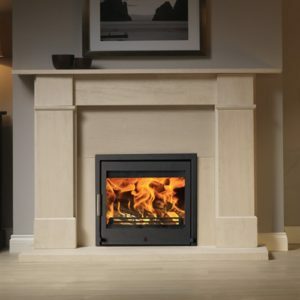 The ACR Tenbury T550 Inset Multifuel Stove has the option of either a three or four sided frame to suit your installation. As the ACR Tenbury T550 Inset Multifuel Stove is multifuel so you can burn smokeless coal as well as being able to fit logs up to 400mm long. 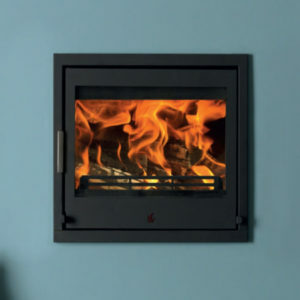 The large glass viewing window is self cleaned by an advanced airwash system so you can fully enjoy the showcase of the flames inside. 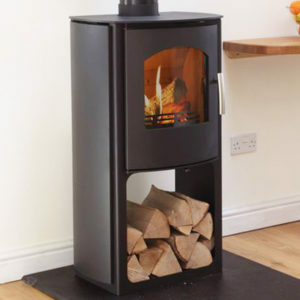 The Tenbury is also DEFRA approved so you are able to burn wood in smokeless areas which is essential in most inner city areas. 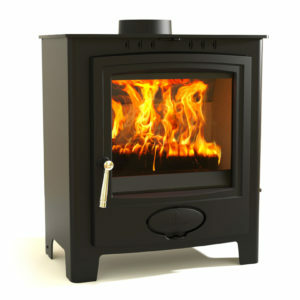 ACR manufacture stoves to the highest possible standards and this is reflected by them offering a 10 year warranty. 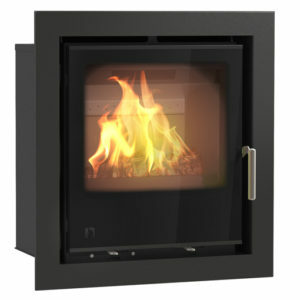 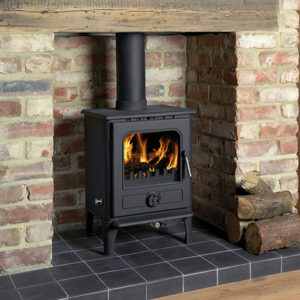 The Tenbury is made from high quality steel meaning that it will heat up exceptionally quickly to deliver the heat you require.